Iam Chitra. Iam a Indian residing in Muscat,Sultanate of Oman for the past 7 years. Iam married, and my hubby’s name is Gangadharan. We both hail from Tamilnadu, India.Iam interested in embroidery, tatting,crochet,vedanta philosophy. I am living in Muscat ,Oman. I am living in Indonesia, its unbelieveable!! amazing i keep trying to do kutch work i get thro’ with simple ones but i find it diffiult with the continuous ones. Is there any technique can u help me in this regard. I just now returned from Chennai. Please send me a picture of your work ,So that I’ll have an idea to elaborate. we’ll start working from there. dear chitra it is really really amajing.even iam interesting to try canyou tought me me how. I was just looking for chickenscratch information for a friend in India. I believe she will be very pleased to see your blog, perhaps outright thrilled. Your blog is better than chocolate, a rush of exciting information without calories or danger of stains on fabric. That is really sweet comment. I too love chocolates . Thanks.I have been pushing aside the idea of kutch tutorial for some time.I’ll start working on it . good to see a needle crafter from Muscat….I love your blog…and it is very informative….thank you for sharing all the valuable informations of embroidery…. Iam also happy to know someone is here in Muscat interested in embroidery. I live in Ruwi. I am living in Bangkok.Wonderful work.I am also interested in hand embroidery,tailoring and all kind of art work.I learnt hand embroidery through net and books.I learnt tailoring because of embroidery.After looking at your blog i feel like to do more.Thank you very much for posting all your valuable work.This kinds of blogs are really very useful for ladies those who are living abroad. I live near Nashville, TN (USA) and I really enjoy seeing your posted pictures of your stitches (incredible)! I love embroidery, and have been doing this for five years (as time permits). Thanks Lauren.I do enjoy doing embroidery. The blog is wonderful.I do take up a few projects but at present kind of hard pressed for time.Ur samplers are very interesting. keep up the good work ! i’m raji frm kerala, now in qatar. hand embr: is my passion. your blog is very interesting. wrks r amazing.!!!!!!!!!!! I find your work very inspiring. Hi Chitra, i am new here in Muscat and i do embroidery/cross stitching. do you know where i can buy the aida cloth and threads? and where can i have these framed? looking forward to hearing from u.. The aida cloth are available in very few shops. Al taqdeer fashion building,first floor, there is a tailoring needs, and accesories shop,at Ruwi. Al Kameez plaza, first floor,again branch of the same shop,Qurum. Aida cloth is available is small quantity,the threads are DMC. Large variety of silk threads , beads laces are available at Ruwi, a street full of tailors and tailoring needs. Al Hamriyah,the whole honda road is full of framing shops. 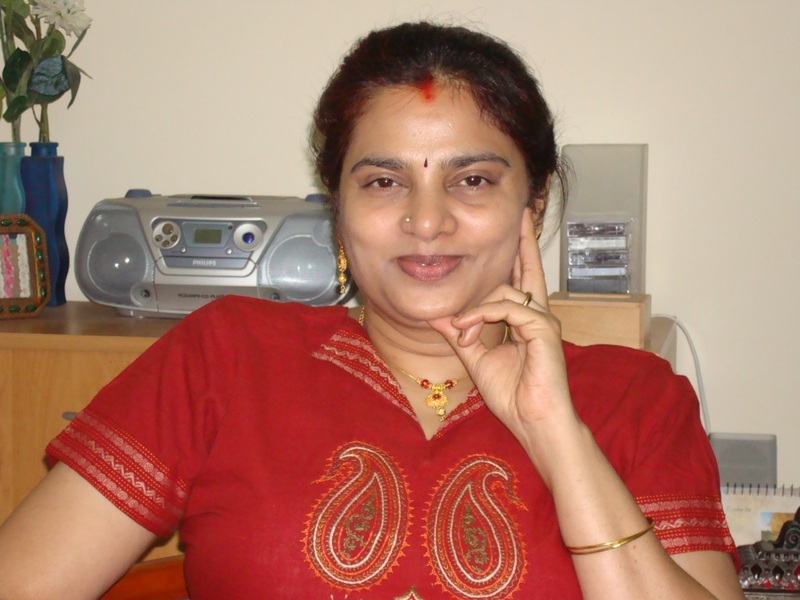 I am Meena, living in Bangalore. I was searching for kutch work designs and patterns and landed at your site. Great that you are doing such a variety of hand embroidery. I have lots to learn. Your blog makes wonderful reading. I am looking for geometrical border patterns for kutch work. I am planning to do this on a pattu saree. If you could share some patterns or let me know where I could get them, it would be very useful. I am subraja , I am living in US. I love all the patterns on your blog. I saw the kutch work patterns on Net. I know the basic Kutch work but I want the learn the other kutch work ( bigger one ).I am trying it but couldn’t figure it out. Thank you.i really have to try my tutorial skills after this I think.Iam on vacation now.I’ll work on it after I come back. Can you give your specifications? I ‘ll try. me from http://www.beautyballs.com (now we r on beta position) in our site we highlights the embroidery works and elegant craft from women across the world. we saw your works and we loved it too.we like to publish ur works on our website with full credits for you.we also gives a link to ur site.we dont need any copyrights.if u agreed it will be very happiest and interesting thing for our viewers.we think u dont hesitate our wish.Have A Nice Day. Glad to see your profile. Accidentally I stumbled to your website.. And it is WoooWWW. The colors and patterns you use are superb!!! Hi! I love your passion for embroidery! I love embroidery too… and I live in Ruwi as well… you could see some of my works here http://www.flickr.com/photos/41487063@N07/ …may be we should catch up sometime.. I love to meet people with similar interests! cheers! hi chitra i love your blog..truly i have to learn much more from you..im also hand embroidery as well as crochet lover..now im a follower of yours..hope you will visit my blog..http://leelashobbies.blogspot.in/..i too have done my favourite chicken scratch on one of my saree ..will keep visiting here.. I live in Sweden and I have seen that somebody from Oman has viseted my blog. It might be you. Thanks for the tutorial about katchwork. I have never seen it before and will comeback back here to see more. Youtube blog is very inspireing. Oh My Gosh, your embroidery work is just amazing!! I am going to attempt embroidery, for the first time, and to be able see such an astounding collection of stitches in samplers is SUCH a gift. I am just blown away by your pieces. wow …thatz really a great job u done…. ur method of explanation is very effective 1can easily understand and learn… best luck for more n’ more progress…. can you be more specific about your requirements. because, as a stitch it is a surface satin stitch. the variations are based on the patterns and directions of the stitch. whenever I work phulkari, I draw different patterns to suit my needs, that way, I use this stitch to incorporate my own designs. so, it may not be called authentic phukari also. let me know, what you want, I’ll see whether I can help you there. we do share a common passion. Came across your site & loved your work! I was wondering if you have any design for Kutchi Embroidery that i can get done on my Bright Rani Pink Chander Cotton Kurti? Awaiting to hear from you! Also, if you can recommend any other style of embroidery that will make my kurti luk pretty! Plss! love your site. Superb work. Planning to learn kutch work. Hi, really very good site. Easy tutorial to follow. I would recommend that along with the name of stitches their picture should also be there which will make thing easier for the user. Hope you will do it at the earliest. I am from Coimbatore and interested in embroidery and crochet. While searching for some embroidery designs in net, I came across your site.I love your site and your works are really excellent. I have stitched one of your patterns. Please visit mt blog, I am waiting for your comment. Chitra: I saw your post on Facebook for the TAST and followed the link to your blog. Your work is amazing! I’m looking forward to reading through your archives. What is Kutchwork? Does the embroidery work on your tunics take a long time? They are beautiful! Thank you. Thank you. kutchwork is form of Indian ethnic embroidery from Gujarat and Rajasthan region. may be it has its roots from Armenian embroidery. the embroidery work on my tunics depend on-the size of the pattern, the number of colours and the type of embroidery. I frquently visit your site and Ilove Kutchha work. I do from the pictures and tutotials but it si very difficult for long work. Can u please provide easy tutorials for doing continious Kutchh work. I am interested in embroidery too..i make embroidery from anchor stitch kits..currently am doing kingfisher..can u suggest on selecting the frames, coz the place where i do,is usually a routine pattern..
where are you living? generally the framing you seem to want is called mounted frame, which gives a depth. it is quite expensive, I made a kingfisher too which cost me 400-500 rupees. let me know of your idea and I’ll elaborate more. Very good. Thanks. Ungallai pola kalaiaravamullavargallai arivathil romba sandhosham. Hello, Chitra. I admire the kind of embroidery you do. If my eyesight was better, I would try it. Come by tomorrow to WIPs Be Gone and share your progress. It was so nice of you to stop by and comment. I am replying here to your email as I could not find an email address. Thank you, Angie. I am going over to the blog to do just that. And they are beautiful! Thanks for linking again to WIPs Be Gone – your tunic is going to be very special. Thank you , Angie providing a place for linking. Thank you for your kind words. hand embroidery is a time consuming hobby. I started my embroidery lessons from school, neighbours and like minded people. Internet is the best teacher of all. I would like to know the extent of your skill, before making any suggestions. where do you live in Chennai? I stay in mylapore whenever I visit. Just found your blog. haven’t touched embroidery since childhood and am just geting back into it. Your work is very very beautiful!